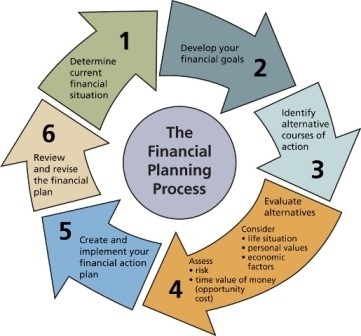 Financial planning can serve as a solid foundation as you look to prepare your future, for instance, the effect of inflation, retirement income and the rising cost of children education, market uncertainties and changing tax laws. We provide you access to a proven process with a suite of robust tools to ensure that your unique needs are understood, and build on that foundation over time. All Wealth is Personal and each individual have unique goals. Establish Objectives and Analysis Current Situation. Whether you're looking for aggressive growth or capital preservation, minimizing tax liability, hoping to retire early, saving for a major purchase or making sure your children's education is paid for, we will help you prioritize and understand your unique needs. Design a Personalized Plan and Set Strategy. Managing your wealth is more than just picking stocks or bonds. 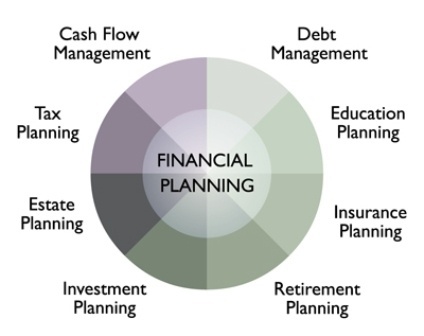 We work together to develop an appropriate strategy designed to help you pursue your financial goals. Implement the Plan. Finding the optimal mix of products and services to meet your needs takes professional advice and guidance, the kind you'll receive from us. Investing according to your strategy is key to your future. Being independent also allows us to have access to a larger group of possible products and services. We have access to virtually any company’s products and services and thus bring the best of the world to the table for our client’s needs, one stop, online access and one consolidated statement with the best at one place. Monitor your Progress. Times change. Markets change. Life changes. We will help if you need to reset your strategy and objectives. Using our Client Reviews, analyze your position, balances and asset allocation to help ensure you're on track and positioned for financial independence. We offer comprehensive wealth management services to individuals, families, trusts and non profits, in addition revenue enhancement strategies for small/mid size businesses and corporations.